I'm so going to come visit you one day. Sound like your living my dream with the fishing, bears, and living in the woods. Hi Mike! Not far. We're 15 minutes outside of Soo, Ontario. So what's that? 2.5 hours from Newberry or so? I'm about an hour from the Soo (US side) so we are fairly close. I'm in the middle of a shop build right now so can't run that way for a while. I'm trying to beat the snow but my trusses should be here in about a week. Last year I had to shovel the roof on the furnace room so I could shingle it. Not fun! I'll let you know if I can find a break in the action and maybe we can work out a visit. Are you guys heading south for the Winter again? I've barely started on my bus project but I am learning a lot from all of the people on here! We're in a similar boat! We're trying desperately to wrap up some outdoor projects before the snow flies. Happily, the weather right now is amazing for doing outdoor work. I'm loving it. I'm looking forward to seeing what you'll do with that bus! It's a nice looking unit. 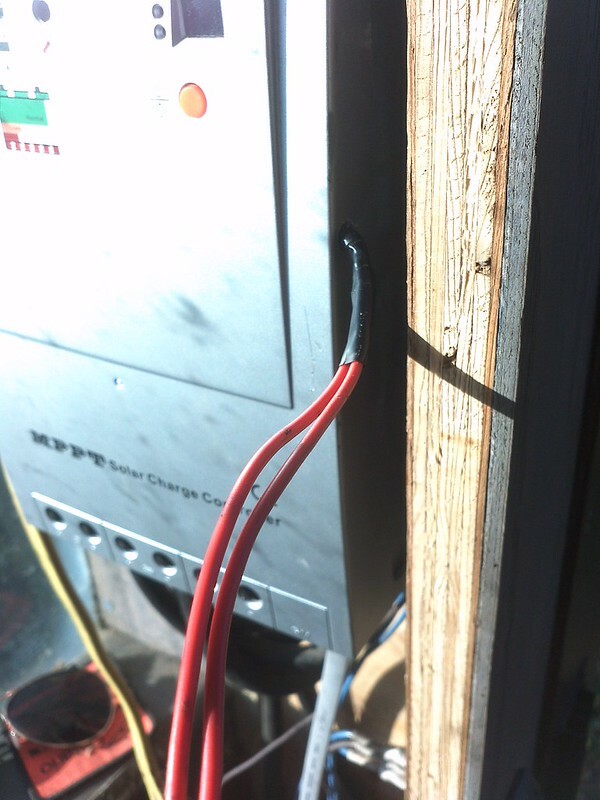 I finally got around to the job of adding a remote temperature sensor to the Tracer 4210rn 40 amp MPPT charge controller. It didn't all work out as planned, but in the end it'll be worth it. ^ Here we have a picture of the Tracer 4210rn. As you can, it has a front mounted temperature sensor. This would work acceptably if the charge controller were located next to the batteries. This is not the case for mine. 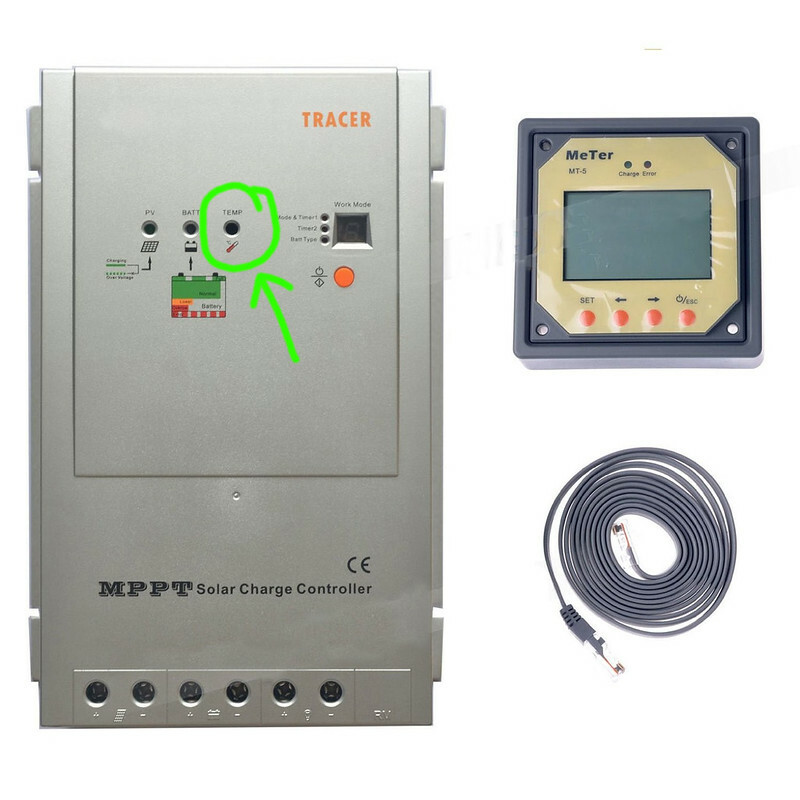 To open the cover on the charge controller, 8 little screws need to be removed; 4 on one end and 4 on the other. The cover easily pulls off. Now the thermistor is exposed (temperature sensor). It looks like a small, dark LED to the right of the actual LEDs. Hhere is where I had a problem. The thermistor sits on top of a little black pedestal. 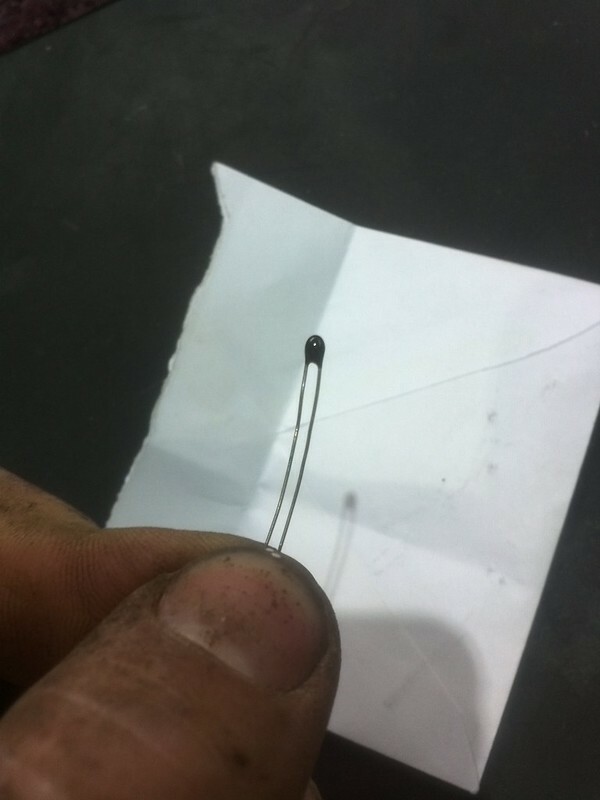 The leads for the thermistor are about 1/2" long, but they go through the pedestal. I tried to crush and break the black pedestal off, but ended up damaging the thermistor as well. Oops! Whatever.. moving on. With the thermistor damaged I had no problem cutting the leads near the top and removing both the thermistor and the pedestal. 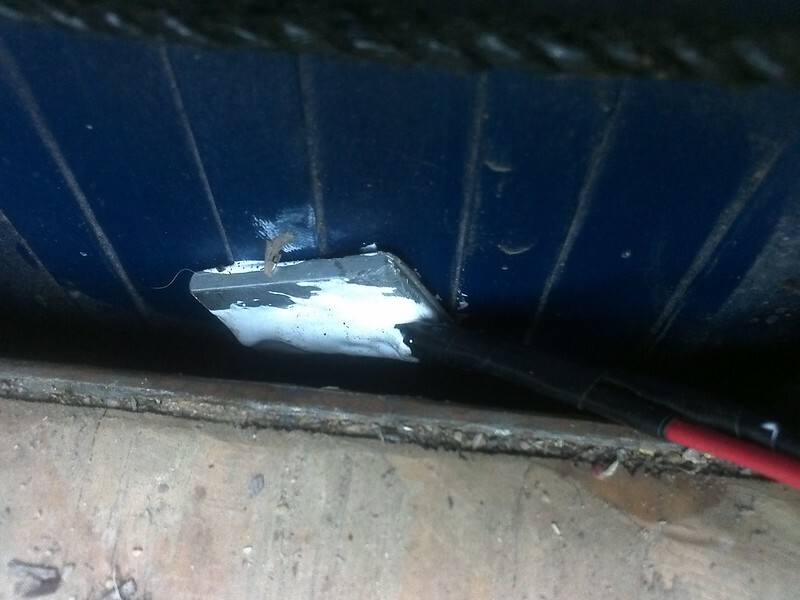 After doing so there were two nice little leads to solder a length of wire to. This was trivial. Don't forget the heat shrink! Ok, so I now have reasonably long leads. What should I put on the end? To determine this took some probing. So I ordered a couple thermistors. Some with an R(25°C) rating of 47KΩ and some at 50KΩ. I was hoping for one at 40KΩ or 43KΩ, but could only find them in bulk packaging (500 minimum order). I'm sure one of the ones I ordered will be acceptable. Once they arrive I will adhere the most accurate one to a plate of aluminium with thermal glue and secure it to the side of the battery for a good temperature reading. What fun! Alright! The thermistors came in! I tried the 50kΩ thermistor first and it seemed to do the job. 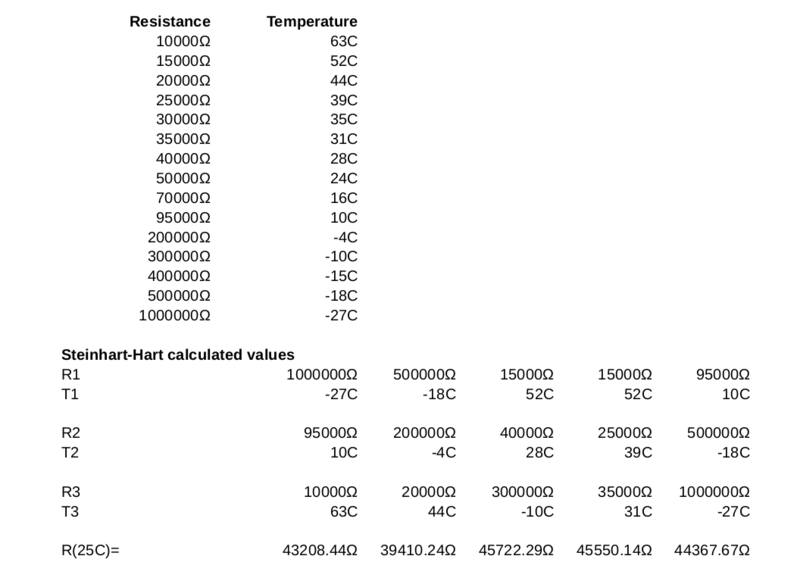 I tested the temperature readings by temporarily connecting the thermistor to the charge controller then placed a thermometer next to the thermistor and compared the readings. They were correct within ±0.5°C so I went with it. I then used Arctic Alumina ceramic thermal compound to glue the thermistor to a piece of aluminium then used the same stuff to glue the aluminium to the side of one of the batteries. I also wired a 3MΩ high-accuracy potentiometer inline with the temperature sensor so that I can force equalization if I want. This works by tricking the charge controller into thinking the batteries are colder than they are, which will in turn increase the charge voltage. Supposedly these charge controllers have an equalization stage that occurs once every 30 days, but I've yet to see it operating in that mode and the documentation doesn't describe a means of forcing it, so this 50 cent fix will do the job. Cheers to showing your awesome build. Much appreciated! Looks like you guys have an awesome setup out there off the path.